When Jennifer Lombardo DDS and Albert Heffez DDS first connected at New York University -School of Dentistry, they knew that they shared a passion for enhancing oral health. What they didn’t know then was how that connection would grow into a marriage, a family, and the thriving dental practice of Windsor Dentistry. After completing their undergraduate degrees, hers in Biology at SUNY Stonybrook , and his in Psychology at NYU, both doctors completed dental school and moved onto their residencies. Dr. Lombardo served as a resident in General Dentistry at Lutheran Medical Center. At the same time, Dr. Heffez served as Chief Resident in Dental Surgery at Brookdale Hospital Medical Center. While residency and countless hours of continuing education afforded both doctors the opportunity to develop their clinical skills, they dreamed of a way to help patients more personally, with a focus on preventive care and overall wellness. With those values in mind, Windsor Dentistry began. Today it’s a family focused practice where people of all ages can get the dental care they need, compassionately and with consideration for their lifestyle and whole-body health. Most patients see both Dr. Lombardo and Dr. Heffez at some point during their years of care, since they each have advanced training in specific areas, making Windsor Dentistry a dental home for patients with varying needs. Dr. Lombardo focuses on Preventive Dentistry, Minimally Invasive Restorative Dentistry, Cavity Control, Cosmetic Dentistry including Veneers, Invisalign and Dentures. Dr.Heffez focuses on Implants, Sleep Apnea Therapy, TMJ Therapy, Cosmetic Dentistry, Veneers and Full Mouth Reconstruction. Both doctors work together to maintain a friendly, proactive practice focused on building relationships and elevating overall health. Since their days at NYU, they’ve grown together to have many other common interests: two daughters, a dog Otis, renovating their neighborhood home. But it’s still the drive to help others on their journey to achieve optimal health that ties them together. One patient, one mouth, one healthy smile at a time, they’ve built a practice that’s one of the best in Brooklyn. Dr. Megan Chin graduated with a Bachelor of Arts from Muhlenberg College and completed her dental degree at New York University College of Dentistry where she received high honors and was inducted into the OKU National Dental Honors Society. She then moved to California where she completed an Advanced Education in General Dentistry at UCLA and worked for two years as a general practitioner in the San Francisco Bay Area, serving as Managing Dentist. After treating many children, her growing passion for pediatric dental care lead her back to the East Coast to pursue her certificate as a Pediatric Dental Specialist at Stony Brook University. There she served as Chief Resident and taught undergraduate dental students during their clinical studies. Dr. Chin became Board Certified and is a current Diplomate of the American Board of Pediatric Dentistry. She is on staff at Northwell-Lenox Hill Hospital. In addition, Dr. Chin is an Attending Dentist at Mount Sinai Hospital where she spends time teaching and training residents in the Pediatric Dental Residency program. Always seeking to broaden her knowledge in the dental field and foster shared learning, Dr. Chin remains active in many study clubs and organizations, on both a local and national level. She currently serves as New York Chapter President of the American Association of Women Dentists. She is the author of several articles on pediatric dental topics. Most recently, she was interviewed as a dental expert for a featured article in the October 2018 issue of Parents Magazine. She has a strong commitment to community outreach and has done clinical and educational outreach locally, as well as abroad in India. Her goal is to make sure that all of her patients have a positive, fun and stress-free experience during each dental visit. When not working, Dr. Chin embraces in New York City where she enjoys spending time with her family, friends, and much-loved pets. Continuously aiming to expand her life experiences, she can be found seeking out new destinations for world travel, sampling new foods, and dabbling in yoga and meditation. Dr. Chin is an avid animal lover and supporter of animal rights; she regularly volunteers her time to care for animals in need with local charities like PAWS NY and New York Cares. Dr. Helen Rozenfeld is an alumnus of the SUNY Stony Brook School of Dental Medicine where she graduated with High Honors and was inducted into Omicron Kappa Upsilon, the prestigious National Dental Honor Society. She then went on to receive her three-year specialty training in Periodontics at SUNY Stony Brook. Dr. Rozenfeld is a Diplomate of the American Board of Periodontology. This means that she obtained the highest level of achievement in the specialty of periodontology, beyond the mandatory educational requirements.She has received advanced training in all aspects of non-surgical and surgical periodontics; including minimally invasive periodontal plastic surgery, guided tissue & guided bone regeneration, implantology, sinus augmentation, and laser dentistry. She is certified in the LANAP and LAPIP laser protocol. Dr. Rozenfeld has been the recipient of numerous awards including the American Academy of Periodontology Award, Blasco C. Gomes Periodontology Scholarship, Dr. Richard J. Oringer Periodontology Award, and the American Association of Oral and Maxillofacial Surgeons Award. Dr. Rozenfeld has lectured on "Maxillary Anterior Esthetics" for various study clubs in the greater New York area. Her treatment protocol for peri-implantitis has been published in a peer-reviewed journal in a paper titled "Treatment of Cement-Associated Peri-implantitis Using Tetracycline and Enamel Matrix Derivative". In 2010 she was a participant in a dental outreach trip to Chile. This mission provided dental care to children living in remote and underserved villages. Dr. Rozenfeld is also an active member of the Leadership Council of the Happy Hearts Fund, a non-profit organization that rebuilds schools in areas affected by natural disasters. She is fluent in both Spanish and Russian. Dr. Patrick Ng-a-fook is a graduate of the State University of New York at Stony Brook with a Bachelor of Arts in Economics, a Business minor and a concentration in Biology. He graduated dental school from the Virginia Commonwealth School of Dentistry. 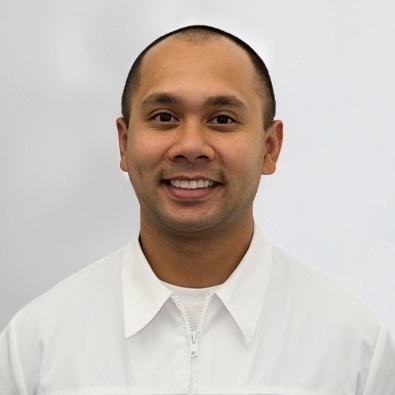 After dental school, he continued his dental training in a one year Advanced Education in General Dentistry Residency at Callen Lorde Community Health Center, through Lutheran Medical Center. He was then offered an attending position, where he helped train dental residents. A year later he pursued his education in Endodontics and graduated with a Certificate in Endodontics from Lutheran Medical Center, focusing on surgical and non-surgical Endodontics. Jen is our Registered Dental Hygienist who will keep your smile bright and healthy with dental cleanings and her professional advice. She will empower you with the knowledge you need to keep your smile radiant by using your appointment time to demonstrate oral hygiene techniques and by equipping you with the proper dental aid to get the job done. Have a question about flossing or what is the best powered toothbrush to use? Jen will provide answers that will allow you to keep your teeth healthy for life. Jen joined our team in 2004 as a dental assistant and gained 4 years of experience in the dental field. Her dedication to our mission of improving dental health for better overall health lead her to return to school to pursue a degree in dental hygiene. In 2011, she graduated from Northampton College’s Dental Hygiene Program and returned to Windsor Dentistry as a dental hygienist. She has over a decade of experience in dentistry and continues to uphold our values as a practice dedicated to giving our patients individualized attention and support. Erica is our Dental Assistant who will make you smile while you’re in the dental chair. She began building patient relationships at Windsor Dentistry in 2007 and is committed to making your experience pleasant and comfortable. Erica assists Dr Heffez and Dr. Lombardo in patient treatment and care. She provides the extra hands and eyes that keep treatments going smoothly. She administers digital x-rays, maintains and sterilizes our instruments, and ensures a clean environment in our treatment rooms. In addition to her clinical duties, Erica makes custom whitening trays for our cosmetic cases and makes sure the office is stocked with supplies and that our dental equipment is functioning properly. In her free time, Erica likes spending time with her four brothers, running in Prospect Park, attending kickboxing classes, and hanging out with her adorable Dachshund – Nathan. Nelly is our Patient Care Coordinator. She believes in treating every patient with compassion and our patients appreciate her attention to detail and the help she provides with scheduling, insurance benefits, and finances. When you walk into our office, she will be here to greet you and make your check-in process easy and efficient. Nelly can help you discover what your dental insurance provides and assist you with receiving the maximum amount of coverage available from your plan. With over 15 years of experience at Windsor Dentistry, she will work with you to determine a payment schedule by providing financial information and discussing practical, payment options. In her spare time, Nelly enjoys spending time with her eight grandchildren, cooking, knitting, playing with her dog - Blue, and home improvement projects. Cynthia, also know as Cindy or Kiwi, joined our team in March 2018. After completing a vigorous internship in a private practice, her passion for dentistry and helping others adopt healthy lifestyles was ignited. Always smiling and ready for a challenge, you find that Cindy has a lot of compassion for our patients and their treatment. When assisting the doctors during their procedures, she will go the extra mile to make sure our patients feel right at home. Outside of work, Cindy spends most of her time studying: she’s a future Med student! Klea is our newest addition to the Windsor Dentistry team.